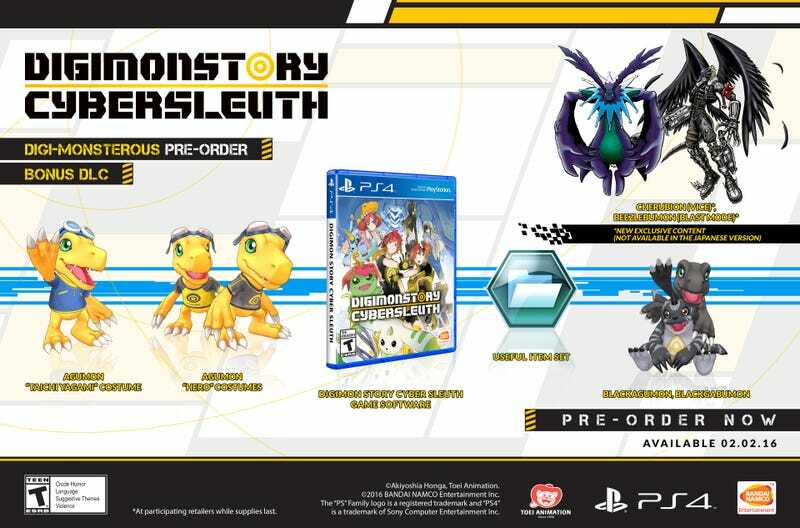 Digimon Story: Cyber Sleuth is set to launch on February 2, 2015 for PS4 (retail and digital), and PSVita (digital only). Preorder bonus is currently only available with participating retailers. No mention of digital copy recieving the preorder. Also no word regarding Digimon Story Dusk heroine Sayo mission pack. US will recieve 2 Digimon, Beezlebumon (Burst Mode) and Cherubimon, exclusive to Western release.